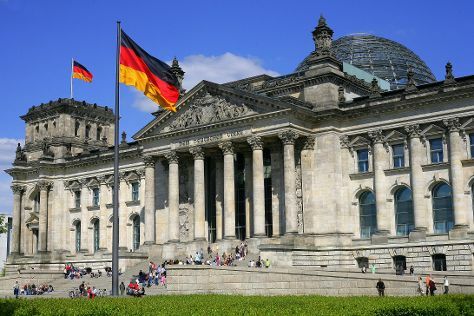 Start off your visit on the 16th (Wed): don't miss a visit to Brandenburg Gate, pause for some photo ops at The Holocaust Memorial - Memorial to the Murdered Jews of Europe, then get a sense of history and politics at Reichstag Building, and finally see the interesting displays at Pergamon Museum. On the 17th (Thu), you'll have a packed day of sightseeing: contemplate the long history of Memorial of the Berlin Wall, then see the interesting displays at Topography of Terror, then don't miss a visit to Mauermuseum - Museum Haus am Checkpoint Charlie, and finally get the lay of the land with Walking tours. To see reviews, maps, traveler tips, and other tourist information, you can read our Berlin trip itinerary planning site . If you are flying in from France, the closest major airports are Berlin-Tegel Airport and Berlin-Schönefeld Airport. Finish your sightseeing early on the 17th (Thu) to allow enough time to travel back home.